There’s a war waging in the Southeastern United States, and I’m not talking about the war between the Republicans and the Democrats. I’m talking about the great Brunswick Stew War, which has been going on for over 100 years or more. See, Brunswick, Georgia claims to be the birthplace of the very first Brunswick Stew. And Brunswick County, Virginia, makes the same claim. 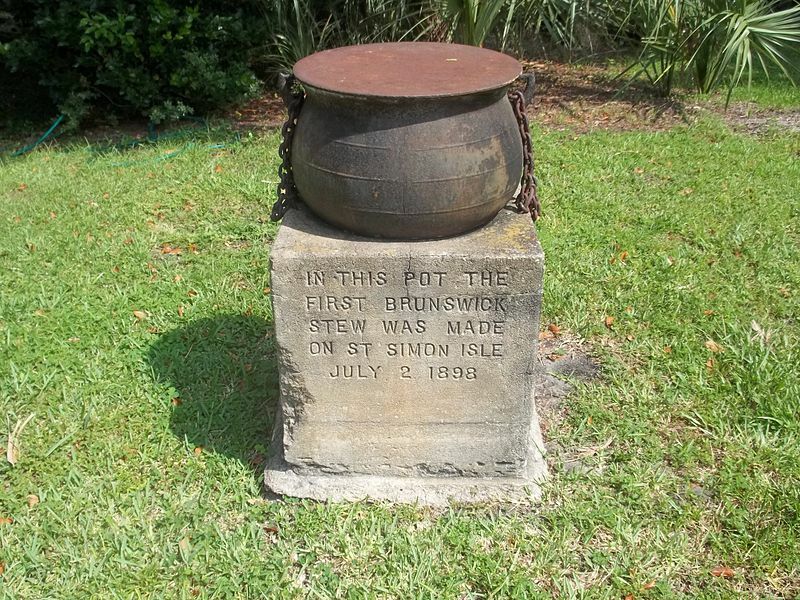 But if you look at the dates, Brunswick, Georgia made its first stew in 1898, and Brunswick County’s stew was created in 1828, 70 years earlier. The story goes that Dr. Creed Haskins, a member of the Virginia state legislature, wanted a special dish for a political rally. Jimmy Matthews, an African American hunting camp cook, and the original creator of the Brunswick Stew which was then made with squirrel, provided the recipe for the rally, and the stew went on to become one of the most beloved dishes of all of Virginia’s political events. If you happen to stop by the Brunswick/St. Simon’s Island Visitor Center in Georgia, you will see a 25 gallon iron pot sitting atop a monument, declaring it to be the vessel in which this favorite Southern food was first cooked in 1898. I have a friend who has been eating the same Brunswick Stew for nine years, and this is one of those times where I would say “don’t try this at home.” He makes his Brunswick Stew the way his parents made it, using lots of vinegar to help preserve it. He told me that his family would cook up a pot of the stew and keep it on the stove for days, even weeks, a great testament to the use vinegar as a preservative. When my friend gets tired of eating his Brunswick Stew, he puts it in the freezer for a few months, and then when he’s hankering for Brunswick Stew again, he takes it out, thaws it in a pot, and adds more ingredients and vinegar. I generally discourage eating any food that’s over a week old, but my curiosity has gotten the best of me, and I secretly hope he will still be eating his Brunswick Stew 20 years from now. John Clary, Proclamation Stew Master, checking on the stew. Getting back to our stew wars, in 1987, Brunswick, Georgia and Brunswick County, Virginia started the wars to use as an economic development tool. 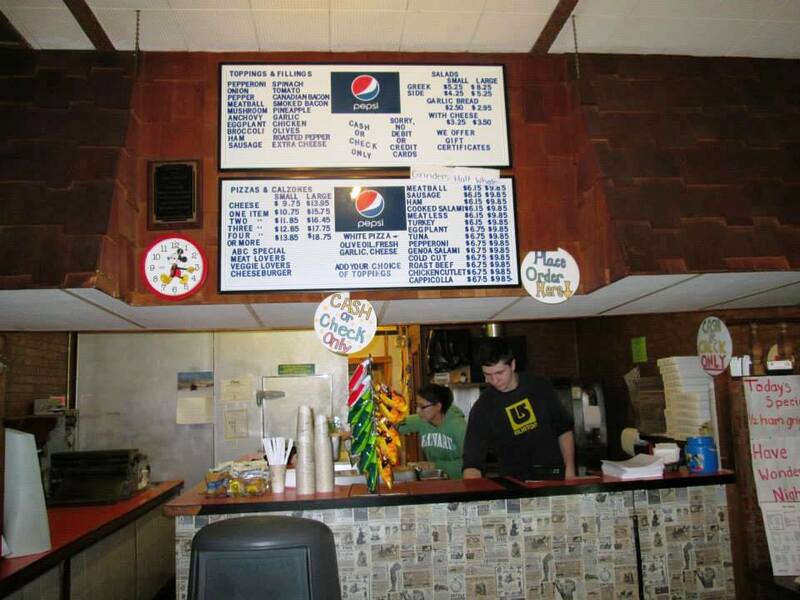 The Virginia General Assembly agreed with Brunswick County, Virginia that it was the original home of the stew and so proclaimed it on February 22, 1988. 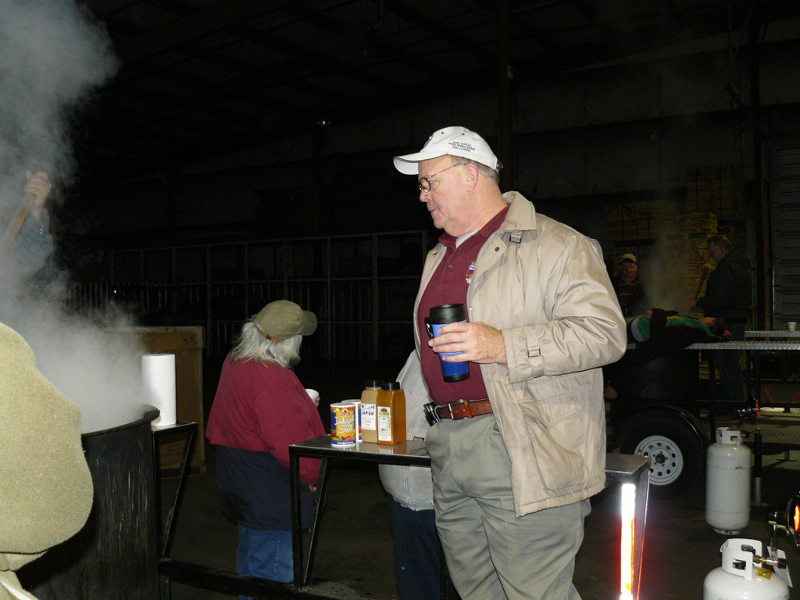 A man named John Drew Clary is the head of a group of Virginia Brunswick Stew chefs, who today call themselves the Proclamation Stew Crew. 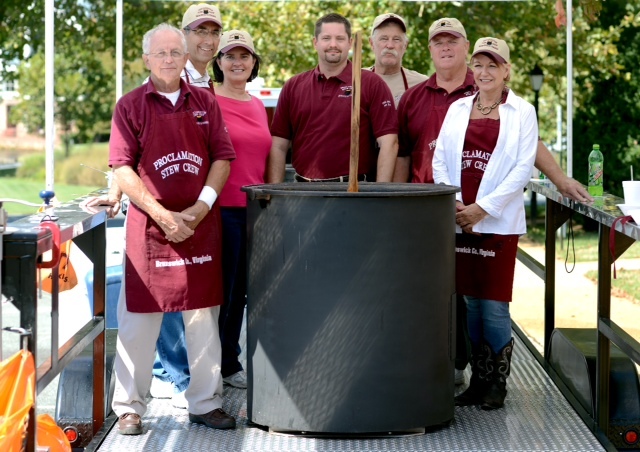 They are the go-to guys of the Virginia Brunswick Stew, and own a rig that allows them to cook 2000 pounds of Brunswick Stew for special events. 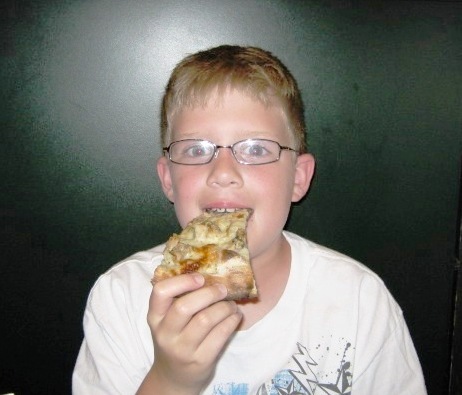 John was kind enough to share his secret recipe with us here at A Brief History of Food. But let us not forget the Georgia Brunswick Stew, the one made with barbecue sauce? Yes, we have a recipe for that one too, provided by a Brunswick, Georgia native, who would prefer to remain anonymous, and stay out of the stew wars. I think the best way to resolve this Southern conflict is to grab a fork, and maybe a spoon, and dig in!